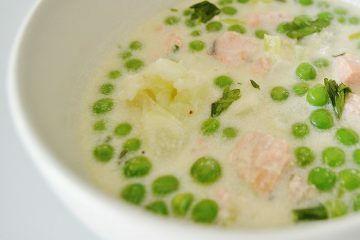 While I love a fresh piece of wild salmon either grilled or baked springtime seems the perfect season to chunk it up in a chowder and pair it with tender spring vegetables. 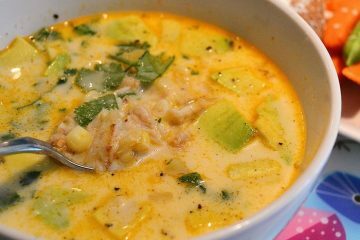 This version is lighter than a typical chowder but hearty enough as a meal. All you’ll need is a hunk of artisan bread but a side salad would be a nice complement. This is my basic, easy to prepare but made-from-scratch chicken noodle soup. 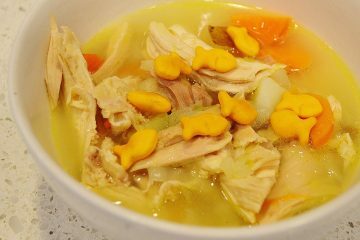 I keep it pretty simple but my youngest loves to add Goldfish crackers on top! I have to admit, not only is it a great whimsical touch, the crackers add a nice extra dimension of flavor. 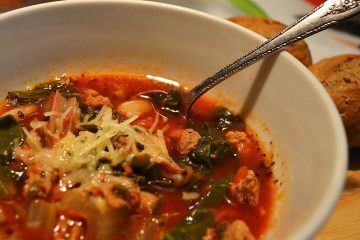 I created this soup when I was on a mini detox where I mainly consumed fruit and veggies. 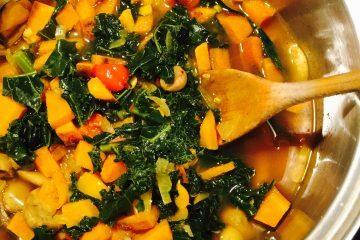 Whether you need a healing soup for detox purposes or not you’ll want to make this warming soup in the cooler months and it is highly adaptable. For the vegans, just add in some beans and for the carnivores try venison, chicken or pork sausage. A great three-season meal (a bit too hot for summer, especially for our Florida summers! ), this one-pot dish will become a family favorite. It comes together quickly, has a great balance of carbs, protein, and fat to nourish your body and satisfy your appetite. Slurping required! 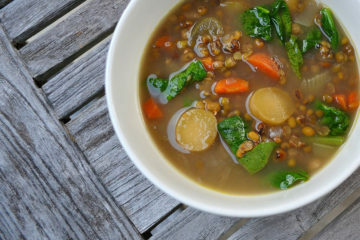 This is the perfect end-of-summer, transitioning to fall soup. It showcases fresh corn which is still in season in a warming yet light way, perfect for a cooler September evening. I usually pair this soup with multi-grain rolls baked in the oven and a garden salad. 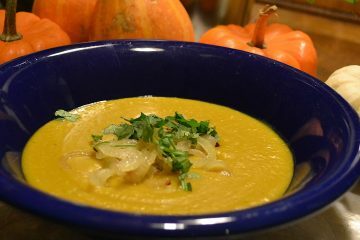 This highly nourishing vegetarian soup is adapted from Nigel Slater’s Pumpkin Dal Soup recipe. 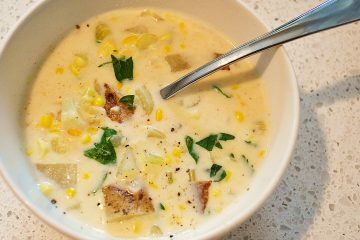 He has a tradition of serving soup on New Year’s Day, but you won’t want to wait until then to try my simplified version. I’ve paired it with the nutritional powerhouse, Brussels sprouts, a hearty fall/winter vegetable that tends to sweeten during roasting and just happens to be my youngest’s favorite vegetable. 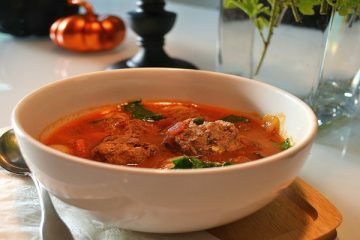 There is only one season where this slow cooker meal would not be welcomed, but for a cold winter day, a brisk fall evening, or a rainy spring afternoon nothing beats a steaming bowl of whole foods goodness chock-full of protein, vibrant Italian flavoring and vitamin rich greens. While the meal stands on its own, you could easily add a crisp salad and artisan rolls for sopping up the broth. 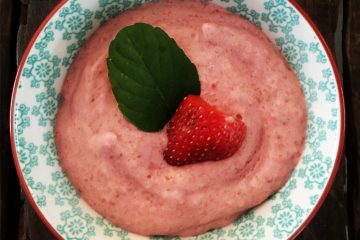 A few simple ingredients can yield such nourishing sustenance especially on a cold night or helping to ward off cool weather viruses. This is one of those soups.